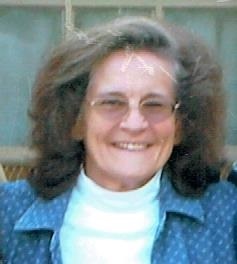 Donna M. Taylor, 80, of Illinois City, passed away Tuesday December 4, 2018 at her home. Funeral services will be 11:00am Saturday at Wheelan-Pressly Funeral Home and Crematory, Milan. Visitation will be from 10am to service time. Burial will follow in Greenview Memorial Gardens, East Moline. Memorials may be left to Alzheimer’s association or Quad City Animal Welfare Center, Milan. Donna was born on June 26, 1938 in Rock Island, the daughter of Robert and Dorothy (Gillette) Purvis. She married Jack McDowell in 1956. She later married Marvin Taylor in 1981. She had been employed at Walgreens as a cashier for several years retiring in 2004. Donna loved spending time with family, enjoying the wildlife and outdoors, working in her yard and traveling. Survivors include her children, Mike (Janet) McDowell, Bourbonnais, IL, Vicki Fletcher, Viola and Tery (Sherry) McDowell, Taylor Ridge; grandchildren, Kasey (Mark) Meinhart, Murfreesboro, TN, Robert (Quang) Fletcher, Berkeley, CA, Andrew Fletcher, Viola, Jason (Emily) McDowell, Taylor Ridge, Cody (Ashley) McDowell, Matherville; great grandchildren, Lillie, Miles, Jet, Keegan, Asher and Gaige; brothers, Robert (Dixie) Purvis, Reynolds, Tom (Karlita) Purvis, Genoa, IL; aunt, Marjorie Cooper, Rock Island; special friend, Barb Steele, Bettendorf. She was preceded in death by her husband, Marvin; parents, Robert and Dorothy Purvis; granddaughter, Kelley McDowell.